Cooking – If cooking and preparing meals outdoors is on your wishlist, you may want to consider an outdoor refrigerator, built-in barbecue, and prep surface. Comfort – if utilizing your outdoor living space is desirable year-round, outdoor heaters and comfy sofas and seating will make all the difference in your space. We recommend utilizing pieces that weather well, even if they’re protected, just to be on the safe side. Attractiveness – outdoor living spaces can be an attractive extension of your home’s design. Homes have never been closer than before, so the backyard is not always as private as it once was. 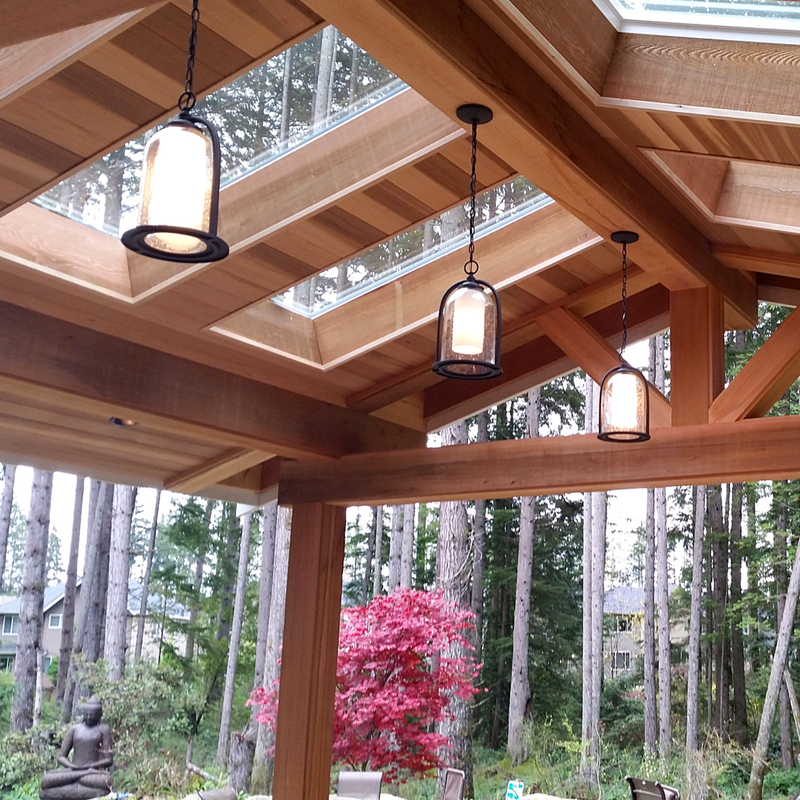 Creating an outdoor living design that ties into your roofline, and complements the existing architecture, and meet the demands of one’s life, is possible. Drainage – especially important to our area because of the amount of annual rainfall, a good outdoor living design will have an effective drainage system keeping standing water away from the house and surrounding areas. Lighting – especially in the winter, a good lighting system will come in handy on our dark and dreary days. 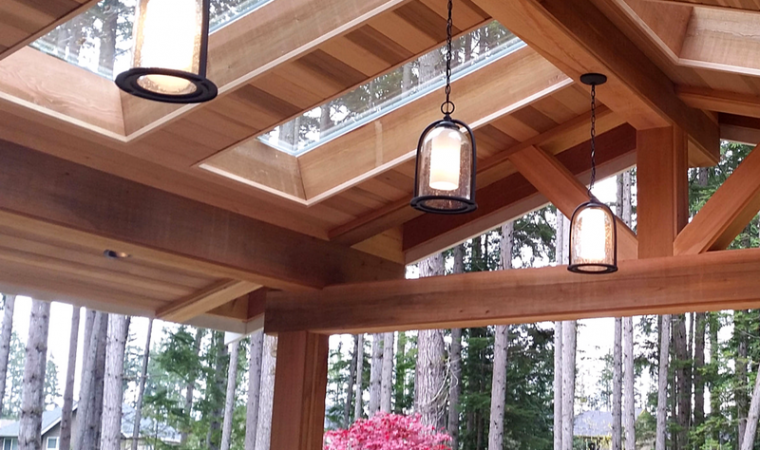 Depending on the size of your outdoor living space, a center light could be sufficient, but larger versions, may need a more robust lighting plan. Landscaping – nothing ties in this new area like a finished landscape plan. The right landscaping can add some privacy, create curb appeal and even create a food source for your new favorite room of the house. If you want to know more, there are additional things to consider, that are best discussed within the context of your home. If you’ve been thinking about building an outdoor living space for your household, contact us today for your complimentary consultation.